Arjun Kapoor has been keeping quite busy lately. The actor was in London for over a month finishing the schedule of Vipul Amrutlal Shah’s Namaste England with Parineeti Chopra. Arjun just returned from London earlier this week after completing the schedule. Without taking any break in Mumbai, he has gotten back to work as he is performing at the much awaited IIFA Awards 2018. On the work front, Arjun Kapoor will be seen in Namaste England with Parineeti Chopra. The film is set for Dussehra 2018 release. He will be seen in back to back films – Sandeep Aur Pinky Faraar, India’s Most Wanted and Panipat. 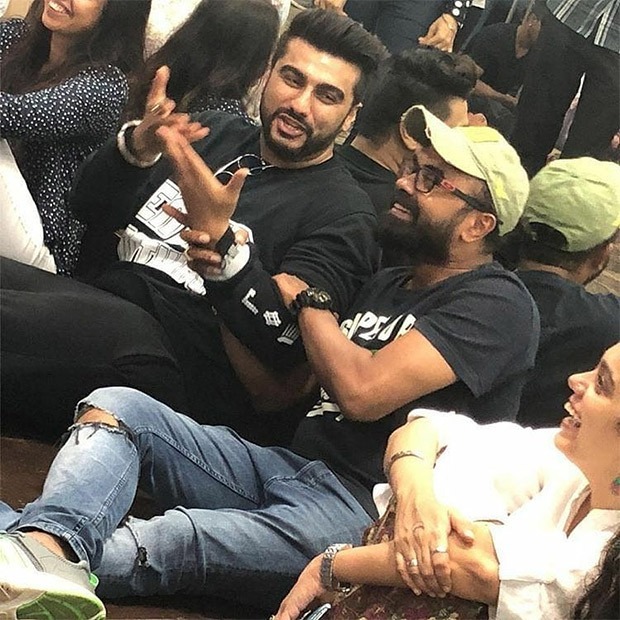 Also Read: Arjun Kapoor shares a THROWBACK picture with Dia Mirza’s husband Sahil Sangha from the sets of Salaam-E-Ishq and it is as nostalgic as ever!